So, the first Freeview HD box is here in the form of the Humax HD-FOX T2. It's hard to put a finger on why it's taken so long for Freeview to dip its toe in the sparkly, glistening waters of high definition. After all, the BBC successfully trialled over-the-air digital HD broadcasts a couple of years ago. But specification squabbles, bitrate and bandwidth issues, chipset shortages and, even, the de rigueur scapegoat in the form of the global recession, have all gotten in the way of the launch of Freeview HD. Surely, though, with an exciting new technology, it's better to be late than never? It could even be argued that, as the first to market, Humax, with its launch of the HD-Fox T2, isn't late at all. The set-top-box specialist is, relatively-speaking, ground-breakingly early. 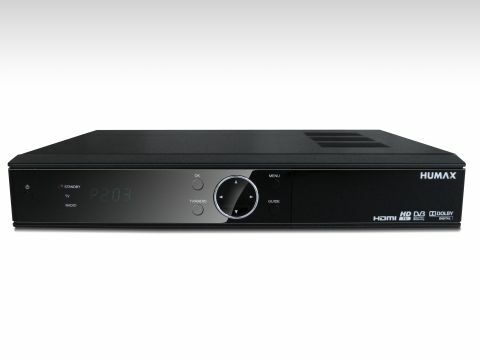 It managed to rush its first DVB-T2 receiver onto the market a considerable while before the competition - a move that could see it gain a significant foothold in living rooms before the similarly spec'd hoards roll over the hills. Admittedly, the manufacturer, like all others, missed the all important Christmas market, and that's a bone of contention for some. But let's get things into perspective; there are three HD channels at the moment, BBC HD and simulcast versions of ITV HD and Channel 4 HD. The compatible DVB-T2, MPEG-4 signal is currently being rolled out within the digital switchover plan, and by June about 50 per cent of us will be able to receive HD channels. As of 8 April 2010, London Glasgow, Newcastle, Leeds, Bradford, Birmingham, Manchester and the West (Mendip) are already able to receive the transmissions. Other regions are going HD all the time - check the Freeview website to see if and when HD is coming to your area. Freeview HD may only be a mere acorn at the moment, but it is to grow into a massive, World Cup-shaped oak tree rapidly. It will be the only way to enjoy England's stuttering progress in South Africa in full hi-def (well, er, 1080i) over a simple rooftop aerial and for absolutely free.